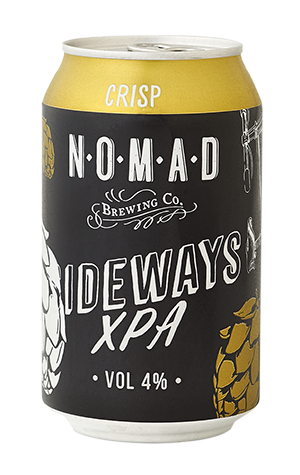 In some ways the Sideways XPA is the antithesis to the fruit driven pale ales and pale ale derivatives that have become a fixture elsewhere in Nomad’s permanent lineup. Unlike those beers which do their stock and trade on punchy tropical and citrus characters, this is spicier, grittier, more earthy. At just four percent ABV it’s a light bodied beer but is also packing plenty of bitterness for something of its size. That said, its not going to knock your sock off with flavour – and was never designed to. The biggest clue is right there in big fat letters above the logo where you can read the word “Crisp”. Add in “easy drinking” and that pretty much tells you what you need to know.